This is so easy to make I find it a tad peculiar that so many people buy it pre-made. The only 'hard' part is soaking the chickpeas over night and cooking them to the right doneness. 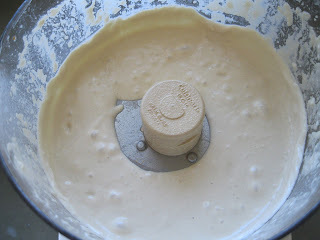 Everything else is just throwing it all together into a food processor. Of course you could even more easily use canned garbanzos but I always taste a bit of the can in canned beans with the inevitable added sodium that I much prefer soaking the dried ones. This recipe is based on one from Paula Wolfert's Mediterranean Cooking though I modified it a bit with ideas from a couple of other sources. 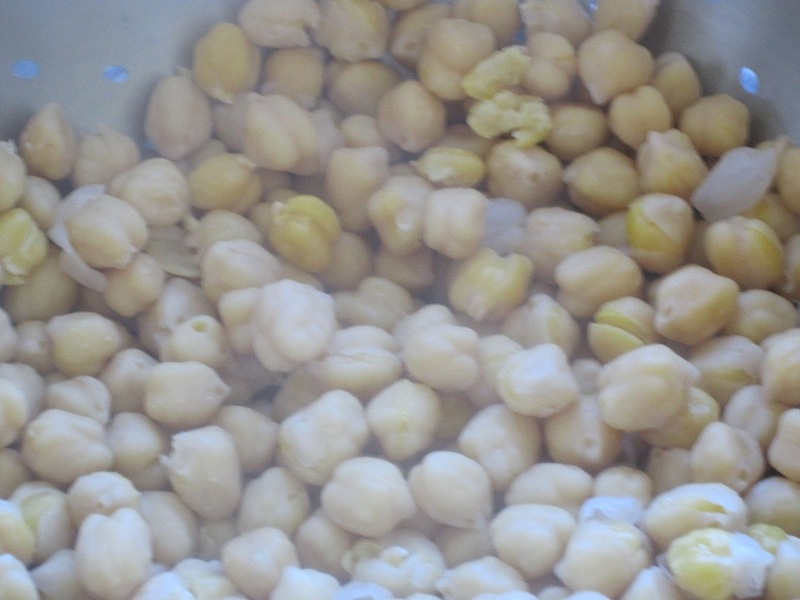 Pour the soaked chickpeas into a colander and discard the soaking water. 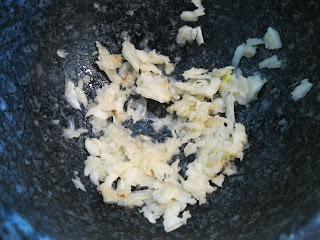 Add them into a large saucepan with water to cover and bring to a boil. Reduce the heat to a simmer, add a touch of the salt, cover and cook until just tender but before they get mushy, about 45-60 minutes. 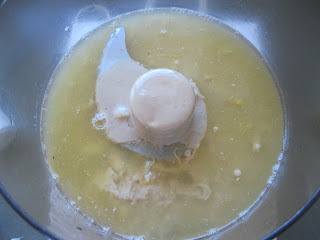 Drain the chickpeas and save the resulting broth. 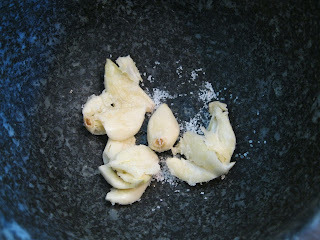 Remove as much of the loosened skins from the chickpeas as you have the patience for. I put them on a paper towel and rub them them vigorously then pick through what's left. Put aside. Crush the garlic with a touch of salt in a mortar with a pestle. Put into a food processor with the tahini, cumin, and lemon juice, processing them until you get a smooth white paste adding some of the saved chickpea water by the tablespoon as needed. Add the saved chickpeas to the paste in the food processor and process until smooth, again adding the cooking water by the tablespoon as needed to smooth the texture to how you like it, adding lemon juice and salt to taste. 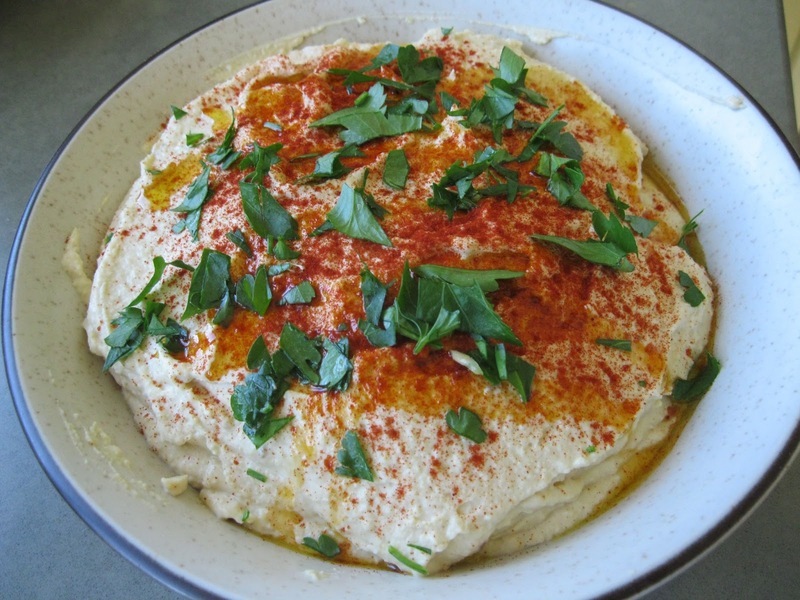 Serve the hummus with the pimenton, chopped parsley, and olive oil as dressing.